Low cost business setup in Dubai Instant License Process , requirements and cost – Issues in one day one investor visa included valid for 3 years . 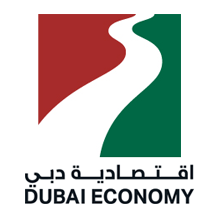 Dubai Economy department recently launched Dubai instant license service allowing businesses to register a company without renting an office space for the first year to support startups and reduce initial business setup cost in Dubai. 2- Instant license in Dubai is valid for one year and at license renewal you need to rent an office so price includes one year office rent. 3- You are eligible to apply one investor visa and employment visas and your investor/partner visas and dependents visas such as wife,son,daughter . 4- Dubai corporate bank account can be opened with instant license in Dubai and is 100% legal . 5-You don’t have to type,draft,translate and sign an MOA or LSA the first year but before renewal of license next year saving this cost of about AED 2500 to 3500 depending on type of license and number of shareholders and company capital to put in the agreements . 6- Foreign business name fees is not included in this offer which is AED 2,000 additional. 7- Local service agent agreement fees included . Send us your documents and contact us we will register the company for you at no additional cost. Its best low cost business setup in Dubai ever don’t miss the opportunity .